Published in Paperback 23rd of February 2017 by Quercus Books. This is a superb book, it is stunning in the way that it is described, envisaged and written. It contains some beautiful storytelling. I can't really fault it! This book covers a span of more than 20 years and covers the period of the wars that were happening in the 1990's. It follows the main character Miro through his story, growing up, and getting married and described when war begins how conflict changes people and those around them. This book is a brutal and realistic portrayal of the savages of war on lives and also those that are left to continue afterwards. War changes everybody. 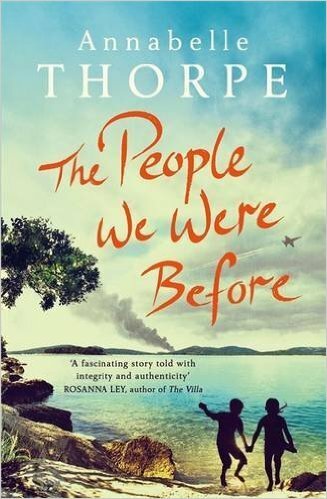 I felt incredibly emotional reading this book, the author did such a fantastic job of describing Croatia, and then also did am accurate job of describing how whole villages were destroyed when the fighting starting. The author has managed to create a host of flawed but likeable characters, characters for whom I felt a warmth and an empathy. Characters that I was rooting for at all costs. The author writes with beauty and style and clearly shows a passion for the region. There is emotional depth within the characters and their individual stories, whilst still keeping a reality over the things that happen to people. Overall I would say that this is a story about the brutalities of war, of friendships and families, of overcoming obstacles. Right within the heart of it though is a story of love in all its many guises. I wholeheartedly recommend this book and eagerly await what this author comes up with next. She is one to watch! Thanks so much for returning to the blog for a second interview. 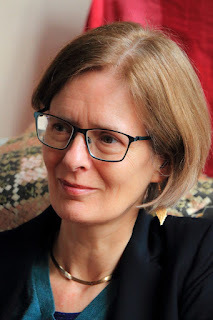 Hi Leah - thanks for having me back on the blog, can't believe it was nearly a year ago that I was first on Reflections of a Reader. It's been quite a year. 1) How has your life changed since publication? On a day to day level, not hugely - although I probably work harder and earn less than I used to! But on a deeper level is really is life-changing; just in terms of knowing that I've achieved the one thing I spent my whole life wanting to do. It took a long time to get to this point, and there's been plenty of times I'd worry that I'd never actually get published. Having that fear of failure taken away is wonderful, it's really liberating. Being able to say that I'm an author, that I have a novel published and another on the way, makes me happier than anything. 2) What is a typical day like for you now as opposed to before? I'm a journalist in my other life, so my days have always been about writing, but fiction is a very different thing. I usually wake up, make a cup of tea and start writing straight away. My mind is always clearest in the morning; sometimes I'll start at eight and won't move till about 11am. I genuinely don't notice the time go. 3) In terms of promoting your book, how have you gone about it? In every way I can think of! Publishing companies do promote books, but they have a lot of titles to push, and so you have to do a lot yourself. 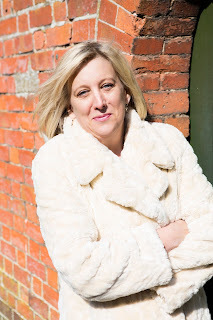 I've done radio interviews, book events, written for travel companies and websites (my book is set in Croatia) and - of course - done lots of posts for lovely book bloggers! As a new writer, it's been amazing to come across that community; a really supportive collection of people with an incredible passion for books. 4) You are in the process of writing your second book, what can you tell us about it? It's called The City of Untold Stories, and it's set in Marrakech, one of my favourite cities in the world. It's the story of three friends who meet at university; Paul and Freya, who go on to get married, and Hamad, a wealthy Qatari. We meet them first as students, and then twenty years later, when Paul and Freya move to Marrakech. It's about how we change over time, whether we really know the people we love and how secrets we believe are buried can come back to haunt us decades later. 5) On the subject of book two is it a struggle to write whilst still trying to promote book one. Yes - particularly if you're trying to do a job, or paying work as well. I quite often end up doing twelve hours days at the moment. But it's a quality problem to have! 6) How have you found doing literary events? Were you nervous? Yes and no. I've done a fair bit of public speaking for work but I did struggle a bit with the concept that people were paying money to come and hear me talk. My first ever literary event, I shared the stage with Louis de Bernieres, which was absolutely terrifying! But it was good in one way, as I could relax a bit - I knew 90% of the audience had only come to hear him (the other 10% were my friends and family). 7) Have social media/bloggers impacted on the experience of being a debut novelist? Hugely. And I think it's a really positive thing; it's incredibly difficult to get reviewed in print, there are so many titles jostling for coverage. If you spend some time working out who to follow on social media, and joining the right networks, you can really get some good word-of-mouth promotion going on. I've found there to be a huge amount of warmth in the blogging community, it's been lovely to feel that. 8) Is there anything you would change about your approach to book one? I don't think so. 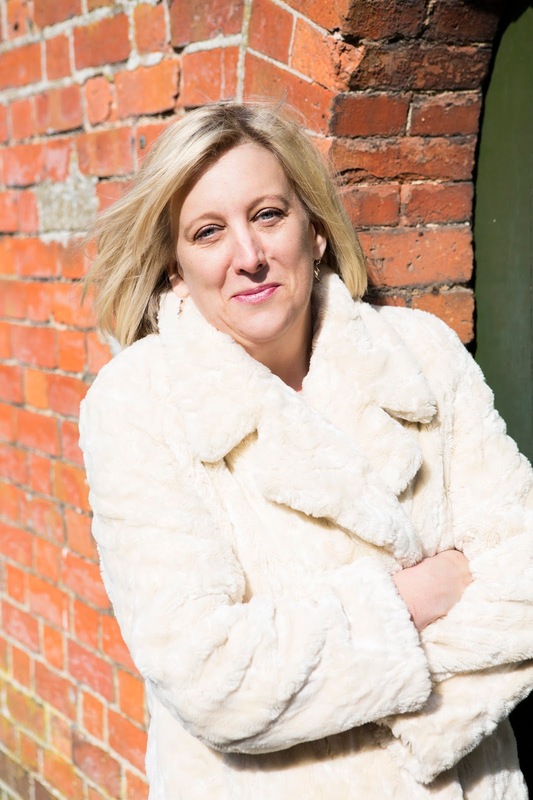 Hindsight is a great thing, but I didn't really know anything about the publishing industry with my first book and so I felt I was learning really fast. It's a very tough business. I don't think I was prepared for that, but I'm more aware now. 9) What advice would you give to new writers starting out? Never give up. Writing a novel is a long, hard road but if it's also one of the most rewarding things you'll ever do. Involve your friends and family, bounce ideas off them, tell them how it's going. Then, where there are moments where you think - 'I just can't do this' - they'll be there to help you keep going. My friends and family have been invaluable to me - I'd never have got this far without them. 10) What does the future hold for you? More books, hopefully! I've already got a framework for book three, and I've also got some ideas for non-fiction books bubbling away. It's taken me so long to get to this point, I can't imagine ever wanting to do anything else. Annabelle Thorpe has been a travel and features journalist for fifteen years, writing for national print and online media. She currently works as a freelance for the Times, Sunday Times Travel Magazine and Express, and works as a consultant for the National Trust. Annabelle completed an MA in Contemporary History in September 2012 and is an alumni of Curtis Brown Creative. She lives in London and Sussex. Published on 2nd March 2017 by Red Door Publishing. My thanks to the author and the publisher for the review copy and having me on the blog tour. 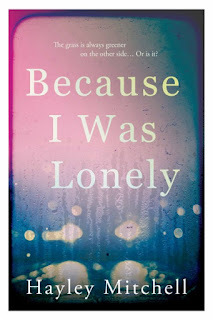 Because I was Lonely expertly traces the roller coaster of actions and reactions experienced by a cast of credible, fallible, and ultimately human, characters. The author carefully captures their emotions and handles the multiple viewpoints deftly, in this cleverly crafted, unputdownable debut novel. This is a story of four individuals and two couples, set in two parts, it is not a particularly happy story but one that I was engrossed in throughout. The further I got into the book, the faster I read. I just had to find out how things ended. Full of flawed characters that are emotionally damaged in their different ways. The characters actions are impaired by their mental states. The book starts at a slow pace but the further I got in the more strands of the characters lives seemed to unravel much like the mental health conditions they are struggling with. It was difficult not to feel some sympathy where all the characters are concerned. The strength of this story lies in the characterisations, which were very well dealt with, in a realistic manner which made the plot plausible. This is one of the books that is hard to give much away about but Rachel is suffering from Post Natal Depression. She rekindles a friendship with Adam, who also has his own issues. Both are dissatisfied with their current lives and initially seek the companionship that they both crave. When does this cross the line and when is it too much and a step over the boundaries that should exist online and in real life? 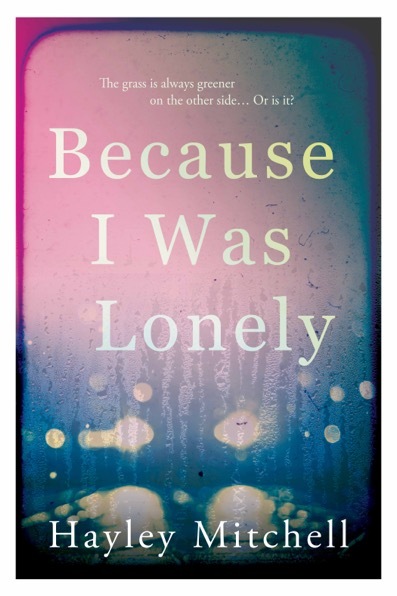 Hayley Mitchell has written an accomplished and intriguing story about loneliness, mental health issues and the pressures of being human and also communication or the lack of. A story told from several different viewpoints, I found it gripping and insightful. I look forward to seeing what this author comes up with next. 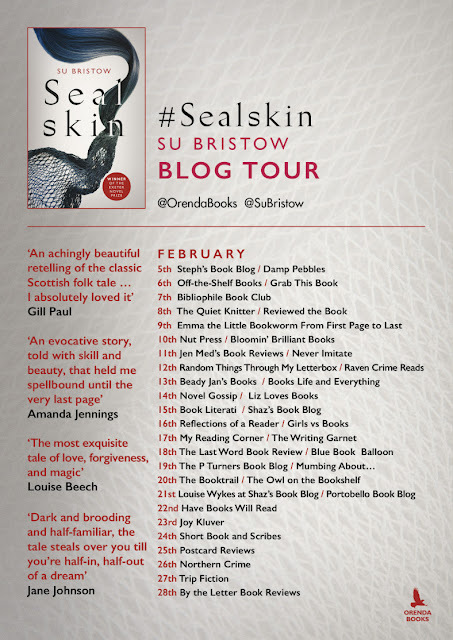 Sealskin was published by Orenda in print on 15th February 2017, it is also available as an e -book. My thanks to the publisher for the review copy and having me on the blog tour. I have been mulling over what to write in my review for this book for the last few days. I find it hardest to review the books that I enjoyed the most. This book is a feat of storytelling and one that deserves to be read. It transcended genres and took a small piece of my heart with it when the final page turned. 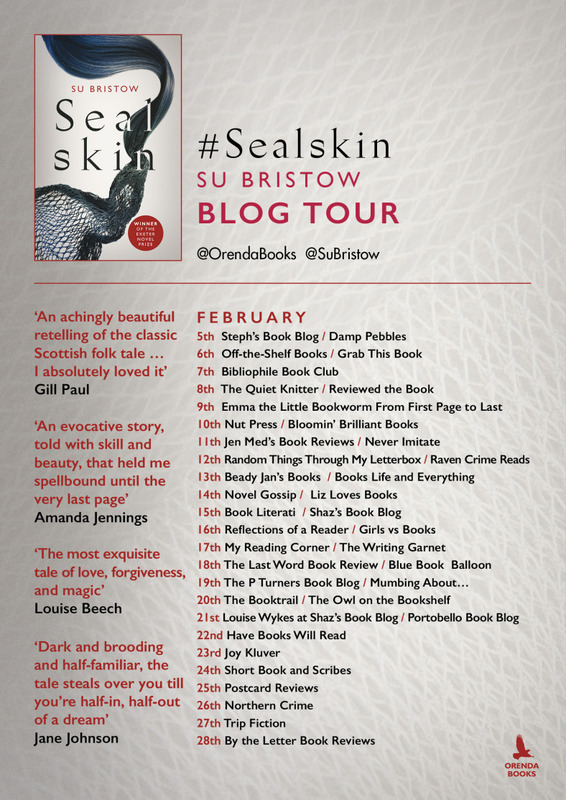 Sealskin is set in Scotland and tells the story of the Selkie legends. This is not something I really knew about, but Selkies are mythical creatures that can be found in folklore. They are seals that can shed their skin on land to become human. This wonderful creative story is shot through with magical realism and in some respects is a fable. This is the story of Donald and Mairhi. Their relationship seems doomed from the start, circumstances of their getting together more than a little controversial. Mairhi doesn't speak but she soon learns how to adapt to her human life. She was my favourite character in this story. A transient, ethereal beauty with far more depth than people appreciated. Donald is very much an outsider and he made a rash decision that changes the lives of himself and those around him dramatically. Some for the good and some for the bad. This story tackles that sensitively and allows the space for the reader to form their own opinion. Important topics covered within this book are, love in its varying guises, acceptance, wrong doing, atonement and redemption. All of which is set against the haunting and beautiful backdrop of the Scottish Coastline, and village life. The landscape becomes somewhat of a character itself. Drawing the reader in, with sounds of the sea and the calling of the waves. 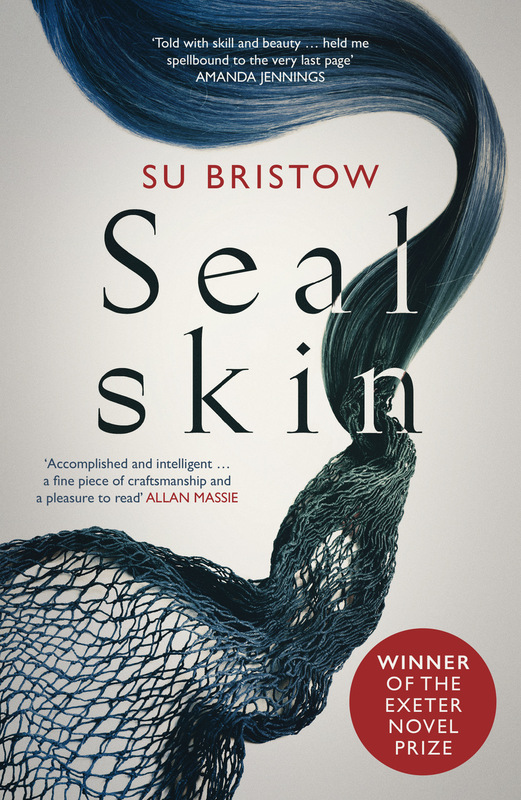 Su Bristow writes elegantly, with grace and compassion. She has managed to display in her writing the best and the worst sides of the human condition. The lyrical and often magical prose makes this the perfect piece of story telling that it is. Published by Cranachan on 29th January 2017. My thanks to the publisher and author for sending the book and having me on the blog tour. I really loved this warm book set in Scotland, it made me sad and it made me laugh. Told from the perspective of Mary, this is where the magic of the book lies for me. 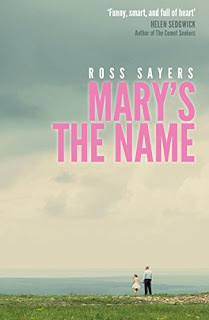 Ross Sayers has written the character and the voice of Mary beautifully and realistically. Mary loves Elvis and James Bond and lives with her Granpa. This book whilst being quite humorous, touched me with its wit, and characterisations. There is even a robbery. There is a serious side to this book with some important themes tackled such as friendship, theft, and family relationships. I loved the Scottish setting and really felt that it made the story come alive. It is Mary's voice that I will take away from this book. She will stay with me. It is very accomplished of the author to be able to write from the eyes of a child. Ross Sayers has brought a new voice the world of fiction and one that I enjoyed. I would love to read more by him. A unique read that I would most definitely recommend. I am delighted that Ross has taken the time to answer some of my questions, thanks to him for stopping by. I have his answers below. 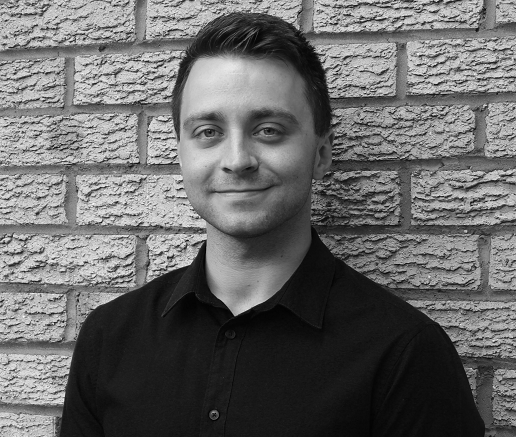 I’m 24, living in Stirling, working as a civil servant in Glasgow. Mary’s the Name is my first novel, written during the summer of 2015. 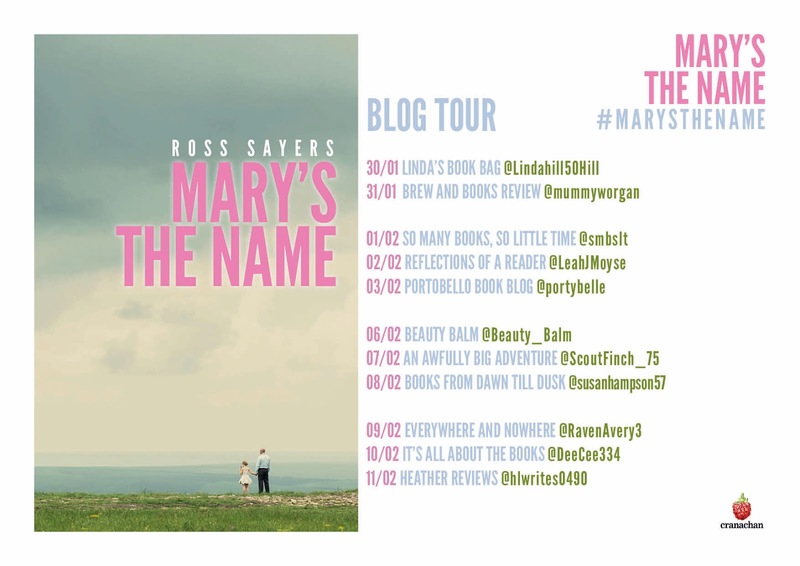 2) Could you tell us a bit about Mary’s the Name, for those who haven’t read it yet? James Kelman’s novels and short stories have had a big impact on my writing. The late, great Terry Pratchett, I don’t believe there was anyone with a warmer, sharper humour than his. Assuming that the person you’re giving the book to has never read it, it’s got to be the first Harry Potter! Imagine introducing someone to that? They’d owe you for life. 5) Are you writing currently, if so is there something you can tell us about that? Currently I’m planning out book two. It’s going to be set in my hometown of Stirling again, tentatively about some high school pupils who get mixed up in a crime when they take a sick day. I’d say fairly important! Obviously, we’re not supposed to judge books by their covers, but I know I do it. A cheesy cover can really put me off. I was so thrilled with the cover of Mary’s the Name that Cranachan put together. Gives the sense of an unexplored place, the relationship between Mary and Granpa, and dark clouds moving in. When I was in primary school, I wrote a lot of long, meandering stories which didn’t go anywhere. During university, I took creative writing modules, and this rekindled my appetite for storytelling. I then did my undergrad dissertation in poetry, before doing an M.Litt in Creative Writing, where Mary’s the Name was written. 8) What was your inspiration for writing Mary’s the Name? My main inspiration was James Kelman’s Kieron Smith, Boy. I was blown away by his complete commitment to the voice of Kieron. The village of Portree also gave me a lot to work with. A lot of the book’s plot and characters were shaped by my visit there. 9) What are your writing habits and space like? I like to write at home, feet up, radio on, laptop in my lap. I’ve never tried writing in public before, I don’t think I’d like the constant threat of being disturbed! 10) What is the strangest thing you have ever had to research online for your writing? Because the story is about an eight-year-old girl, I needed to have a sense of what people her age get up to. Part of that is working out at what age parents/guardians let their children go and play outside by themselves these days. So if you checked, I probably Googled ‘when did you let your kids go out themselves’ or something similar. This lead me to lots of parenting forums. Felt a bit odd! 11) Could you tell us something about you that people wouldn’t necessary know? In 2014, I ran the Edinburgh Marathon to raise money for the MS Society. It was a proud moment! You can tweet me @Sayers33, or visit rosssayers.co.uk to keep up to date with my blog. Ross Sayers is a writer of Scottish fiction, Mary's the Name is his first novel. His stories and poems have featured in magazines such as Quotidian and Octavius, and his short story, 'Dancin' is currently used on West College Scotland's Higher English course. Thanks for visiting and please do check out the other spots on the blog tour.